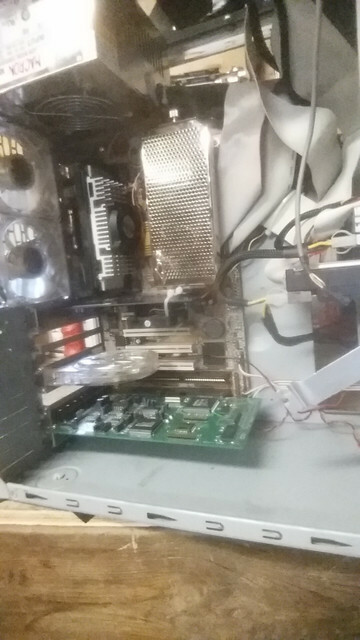 so i am trying to build a slot 1 p3 voodoo 2 sli rig but i cant get the motherboard to boot, ive unhooked everything except for the main video card (ga-622-32c NVIDIA TNT2™ Model 64) aswell as a Macron mpt-400 ATX 12v PSU i took both out of a working computer. the only thing i can think of is maybe the bios is to old to recognize the cpus? These Pentium IIs are among the oldest slot-1 CPUs, so every slot-1 board knows them. Did the board work before you installed a three-card graphics setup? Do you have a single PCI graphics card to boot with? Set FSB to 66MHz regardless of the CPU with one of these switches, just to be safe. Are the capacitors in good condition? Are the voltage regulators in good condition and can you measure them giving the intended voltages? gerwin wrote: These Pentium IIs are among the oldest slot-1 CPUs, so every slot-1 board knows them. thanks for the reply, no i dont know if it was working, caps and everything look good. I have a multi-meter but i dont know how to measure parts on the motherboard . i should have a few spare pci cards but also untested. ill give them a try. 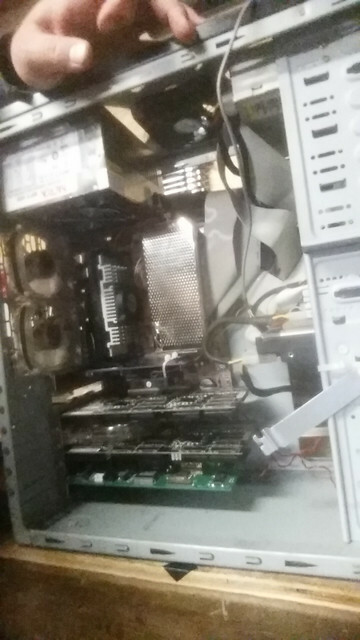 I decided to bring everything out to the garage for some more room, pulled all the ram out except for 1 64mb stick, put the gigabyte video card in and hooked up the macron PSU , tried the pentium 3 500 with same switch settings and it booted up no prob. BUT it only displays the p3 as a P2 mmx 500mhz , should i be using a different Switch setting? or is this normal?is it just the pentium 2s that have out of the box support? sorry i have never truly worked on an old machine like this. And lastly after reading through these manuals i just realized there are 5 different revisions of this motherboard, do the switch configs tend to differ amongst different revisions? i really wish i had the PCB Ver : 2.0 , it has a turbo jumper and voodoo 3 support! i am kind of tempted to flash the bios it adds larger hdd support and cpu support, but i googled it and somebody with the same revision bricked there board with the F4c(Beta) which adds the larger hard drive support.. so maybe i better just be happy it works . ive flashed many boards before never had 1 fail, just not this old, and i got a bad feeling . Nice that you got it working already. Yes, That CPU string is probably a BIOS recognition issue, it won't affect performance. Arbys Guy wrote: is it just the pentium 2s that have out of the box support? Possibly. The Katmai Pentium 3 is pretty similar to the Pentium 2 so it is easy to run. But coppermine core Pentium 3s require a CPU Voltage Regulator that can supply 1,65 to 1.75 Volt. So don't plug in a coppermine CPU without verifying support for these voltages. I have two Rev 2.0 boards, and I used them plenty of times at 133MHz FSB. But the AGP divider must be set to 2/3 and not 1/1. This is the 4th switch on the FSB switch-block. Otherwise your AGP bus speed will be 133MHz instead of 89MHz. For AGP video cards 89MHz is already rather high. This is a limitation of the intel 440BX chipset in geneneral. Arbys Guy wrote: And lastly after reading through these manuals i just realized there are 5 different revisions of this motherboard, do the switch configs tend to differ amongst different revisions? i really wish i had the PCB Ver : 2.0 , it has a turbo jumper and voodoo 3 support! 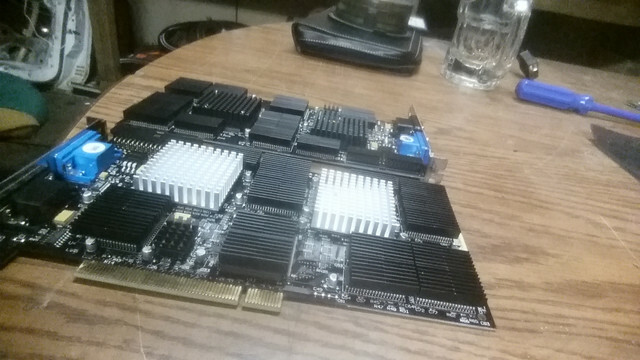 Gigabyte kept the GA-6BXC board rather classic throughout production and revisions. So no Jumperfree rubbish and such. They also kept the PLL chip the same, so every revision supports the same bus speeds of 50..133MHz. There is a DOS tool to control this particular PLL chip, written by Rayer. Very practical. I don't recall the turbo button/jumper doing much, but the voodoo3 jumpers are a nice feature. I suppose one could modify the board manually to do the same thing as the voodoo3 jumpers, which is to connect the PSU 3,3 Volt plane to the AGP 3,3 Volt plane directly. In case you do feel the need to try and flash the BIOS, here is my collection for the GA-6BXC, including older ones and unofficial ones. It would wise to save your old BIOS before overwriting. Wow! Thank you so much for the detailed reply!! !..and the bios files. I think i will shoot for 133mhz. 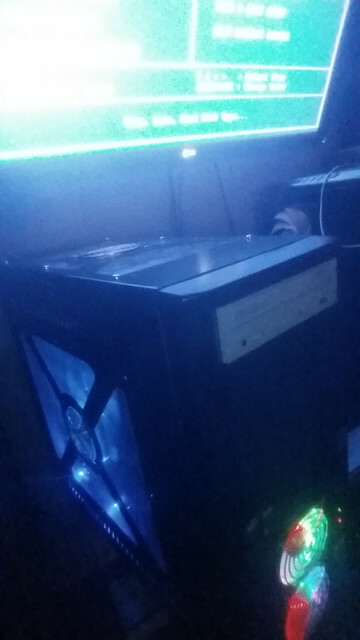 ive been building since my last post, cable management!!! I could be forced to update the bios.. the hard drive wont read.. or i might just use sea tools and limit it to 20gb, gonna have lunch on it. if i were to flash the bios do i just need a usb stick formated to fat 32 with the bios file on it? then from what i can see on the bios change the boot sequence? or do you need a flash tool for these old boards? And do usb sizes matter when flashing this board. i think i have 16gb stick? Btw how do i save my bios? You can save your BIOS with the Uniflash tool IIRC. 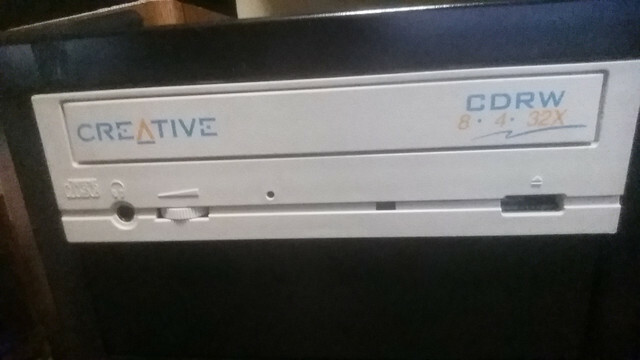 Ah, right, floppy , in the bios under boot order i seen zip and for some reason i thought usb.. i actually have a zip drive and a floppy drive, but i am going to install windows first and test the floppy and zip drive and a few disks before i flash. btw is Hirens Boot CD a good choice for Uniflash tool IIRC. i believe it is on there.and is there any specific version of the uniflash tool i should use? Okay so i am getting ready to flash ive tested the floppy disk in scandisk with a through check, with 0 errors or bad sectors formatted with quick format. downloaded the f4cbeta.exe bios transferred it to the windows 98 computer (ga-6xbc). i tried to find out how to format it to be a MS-DOS Bootable Floppy Disk in windows 98 se but only seem to find windows xp tutorials or how to make a windows 98 start up disk. is there a utility i could use to do this? and once i make the floppy bootable do i just extract the files from the f4cbeta.exe to the floppy and boot from it? I don't know about Windows. But in pure DOS (F8 key at bootup on a Windows 95/98 system) the command "Sys a:" makes the floppy bootable. gerwin wrote: I don't know about Windows. But in pure DOS (F8 key at bootup on a Windows 95/98 system) the command "Sys a:" makes the floppy bootable. Great worked like a charm thanks. Now do i need a utility to flash the bios? or just boot with the bin file on the bootable floppy? 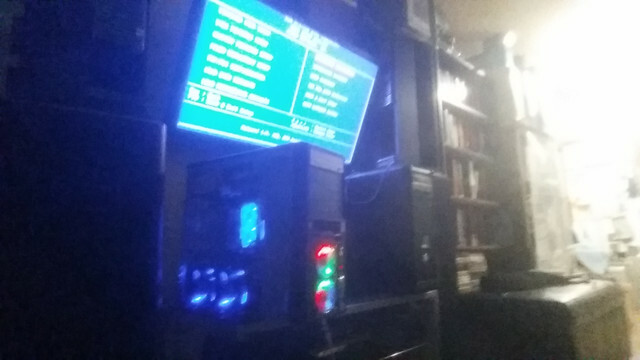 it seems like this guy bricked his board by not loading the bios defaults upon first boot. Is this how you flashed your board gerwin? Arbys Guy wrote: Now do i need a utility to flash the bios? or just boot with the bin file on the bootable floppy? 3. Extract contents youve downloaded at step 1. on your floppy. 4. Boot from floppy. it should automatically start to flash. now to get it the motherboard running at 133mhz FSB and find a driver for this Yes! Netware ISA ethernet card. will post some pics of the finished product. 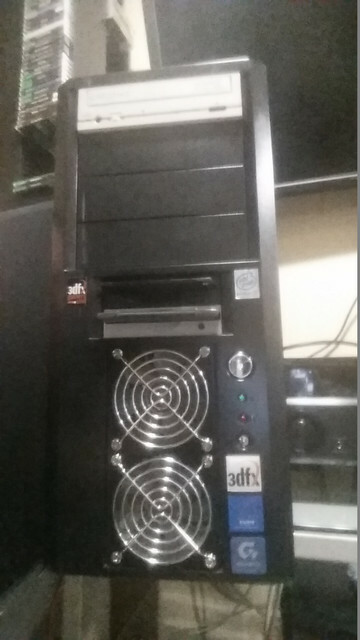 still need a nvidia sticker or ati depending if i switch the agp card or not, and to get my friend to 3d print a button for the creative drive. Its a work in progress. i had added two aluminum fans and two normal fans on the vodoo2 cards but they were both to heavy for thermal tape. so i just added an exhaust fan in the middle of the cards and pointed two 120mm fans at the pci/isa lanes, And added the ram cooler because why not! i was going to add heat sinks to the ram aswell for overkill (= but decided to save them for another build because i couldn't see them if i did. 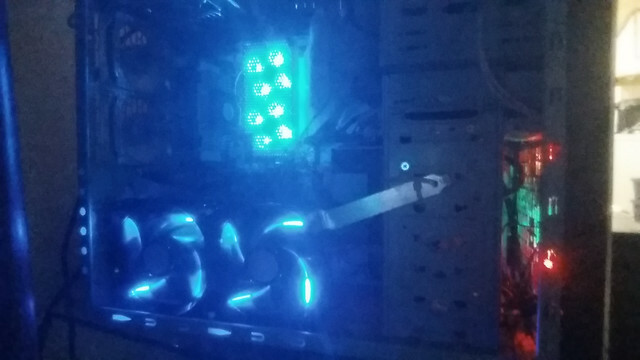 probably going to replace most of the 80mm fans that dont have blue leds.